Synchrono®, the leader in modern demand-driven manufacturing software and synchronization technology, today released a new InSync paper, The 8 Forms of Waste in Lean Manufacturing. There are many ways to eliminate these 8 forms of waste, however, when comparing the level of effort to potential return, eKanban software is one of the most attractive Lean solutions available. 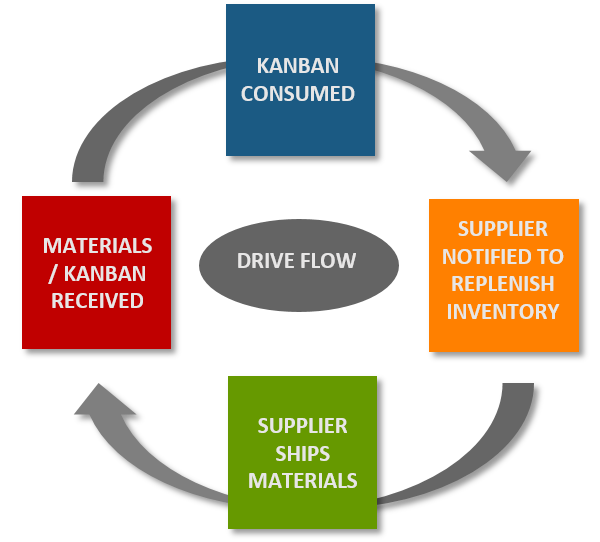 eKanban, or electronic Kanban, is an automated, pull-based inventory replenishment system based on actual demand or consumption. In the most simplistic terms, it works like this: Parts are scanned into the system when received or consumed, sending real-time notifications to suppliers for replenishment. The “pull” or “demand” is created upon the actual consumption of materials, keeping on hand inventory at minimal levels (eliminating waste associated with excess inventory). The paper also references customer case studies where waste elimination measures have been applied using SyncKanban eKanban software from Synchrono. Synchrono® LLC enables the modern, digital demand-driven visual factory of the future; synchronizing people, processes, machines, materials and data to drive production flow from order inception to delivery. The award winning Synchrono Demand-Driven Manufacturing Platform includes a production planning, scheduling and execution system; ekanban inventory replenishment and supply chain collaboration software; a data collection, historian and automated workflow engine; alert management and monitoring software; and a real-time visual factory information system. The Platform components may be implemented independently or collectively to enable the Internet of Things and an unprecedented foundation for communication, collaboration and continuous improvement. Synchrono helps clients manage constraints, improve flow and drive on-time delivery to maintain a competitive edge. Sync with us at www.synchrono.com and follow the Demand-Driven Matters blog at www.synchrono.com/blog.